Things may yet get worse for Paul Manafort. 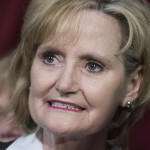 During the same event at which Sen. Cindy Hyde-Smith (R-MS) made a joke about “public hanging,” the senator misidentified former Rep. Henry Hyde (R-IL) as a senator from Oklahoma. 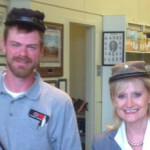 As Sen. Cindy Hyde-Smith (R-MS) faced backlash over her recent comments about “public hanging” and voter suppression on Tuesday, a 2014 Facebook photo of her wearing a Confederate hat was surfaced by Politico. After a judge ordered in an initial ruling that the White House must restore CNN reporter Jim Acosta’s press pass, the White House said it would “temporarily” do so but maintained that Acosta does not have a right to access the White House. The White House also called for “decorum” during press conferences. After Senate Majority Leader Mitch McConnell (R-KY) declined to bring a bill aimed at protecting special counsel Robert Mueller to the Senate floor for a vote, Sen. Jeff Flake (R-AZ) threatened to oppose all judicial nominees. 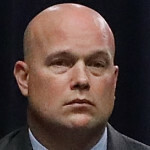 The Justice Department’s Office of Legal Counsel on Wednesday released a memo arguing that President Trump’s decision to appoint Matthew Whitaker as acting attorney general did not violate the Constitution. 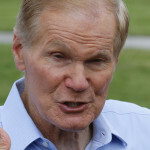 Sen. Bill Nelson’s (D-FL) Senate campaign and the Democratic Senatorial Campaign Committee filed a lawsuit in federal court Tuesday seeking to extend the Thursday deadline for county election officials statewide to complete a machine recount. Following a report that a National Security Council official was fired in part due to clashes with Melania Trump’s team, the first lady’s spokeswoman issued a blunt, scathing statement that all but confirmed that Melania Trump pushed the official out. The lawyers who represented former Trump campaign aide George Papadopoulos throughout the special counsel probe said in a court filing Tuesday that their client has retained new counsel and that they are seeking to withdraw from the case.